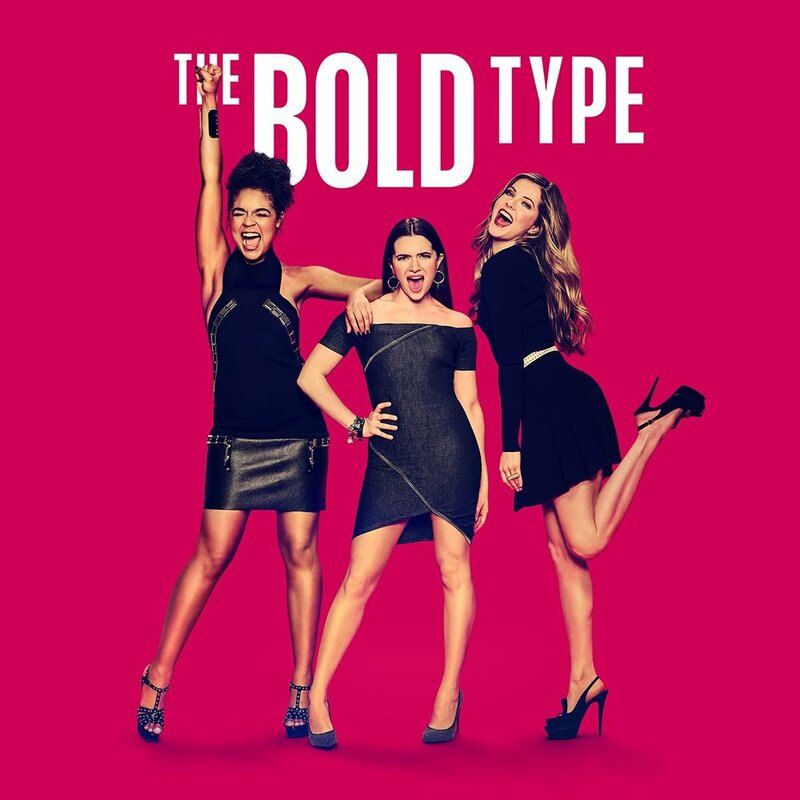 Not only is The Bold Type a funny, smart, and passionate TV show, it is one of the most fashionable shows to grace TV ever. The show is so fantastic about women lifting each other up in their careers rather than tearing others down to build themselves up. Not to mention this show is like all of my dreams rolled into one. Here in LA the transition from summer into fall can still be quite warm, so throwing a vest on adds some fall vibes (an a little extra warmth) with out becoming swelteringly hot. Mules are really on trend, and these open toe ones are a great transition piece. A fun thing to try as well is buying a classic t-shirt and doing your own destruction on it. For the fall I love to start incorporating colors that are dark and rich into my wardrobe. I loved this berry colored skirt paired with gold accessories and a black top. I think the biggest obstacle when wearing color in the fall is finding the balance with accessories. I like to do a high neckline and a statement earring. Also never be afraid of playing with a belt. Also I love Jane's peplum belted. It's something I never thought about, but think it is perfect for hiding unflattering abdomens and showing off a waist line. My favorite part about fall and winter is getting to wear thigh high boots! And The Bold Type is never lacking in outfits with thigh highs. You can transition a lot of dresses into fall wear by adding boots and a jacket. I was so inspired by Jane's look so that I could transition this dress to fall and winter from how I styled it in the summer. Honestly, these boots are a must buy for the winter season. Keep your eyes peeled to my Instagram for more ways to wear these boots. If you haven't watched The Bold Type yet head over to FreeForm and watch it! It's honestly one of the best show, and if you have watched it get ready because season two and three are coming in 2018. Comment down below what your favorite part of the show is!